Nothing had ever been so welcome by its absence. I am surely aware of the UWC project but I just wasn't satisfied with the results. 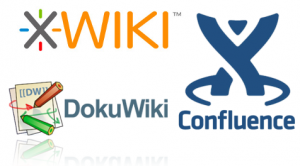 So I have created my own tool to migrate articles from XWiki and Dokuwiki to Confluence. The tool is quite simple, it doesn't deal with editing history and just migrates the current information. This was my goal and it was achieved. So if you are interested in this – look into the project WikiLumper which is available on GitHub. And if you have something to contribute then please contribute.